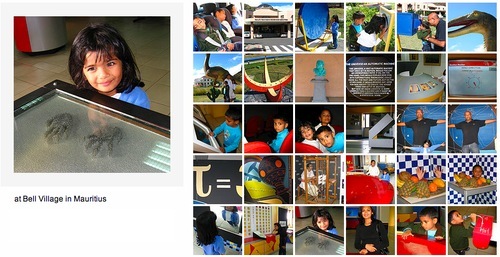 The Rajiv Gandhi Science Centre which is at Bell Village is one of the most well-kept secrets in Mauritius! We went there two weeks ago with average expectations… We payed (I believe) Rs. 30 for a ticket. The first nice surprise was that there were a lot of things to experiment with in the yard. Things like using parabolas to transmit sound very efficiently (3rd picture) and lots of optical illusion experiments (4th and 5th pictures above.) As you can expect, the kids were having a lot of fun. And Christina and I were happy to answer all their questions. Inside we got our second surprise: there were so many things to see (the story of the universe, the geological story of Mauritius, lots of background info on great scientists, etc.) and also so many things to experiment with (see the photos.) Anya, Kyan and their cousin, Chloé, were running everywhere trying out things and having a lot of fun! As a scientific, I was ecstatic. I couldn’t prevent myself wondering why some science classes (at primary and secondary levels) were not done there. I’m sure students would have understood a lot more. I have to admit that there are some problems. Some of the experiments have stopped working and should be repaired. Applying fresh paint would not be a bad idea at all especially outside. But apart from those “details” which are so easy to remedy, the Rajiv Gandhi Science Centre is a great place to go to spend some hours and learn a lot at the same time. Go there one day and I’m sure you’ll like it. We did. 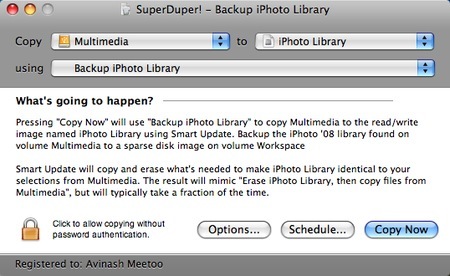 Incremental backup of iPhoto ’08 library using SuperDuper! Write a nice description and make sure that the ‘Allow the user to select this script’ is ticked. In the ‘Included Scripts’ tab, click on the ‘+’ and choose the predefined ‘Exclude all files’ script. This is to make sure that SuperDuper! 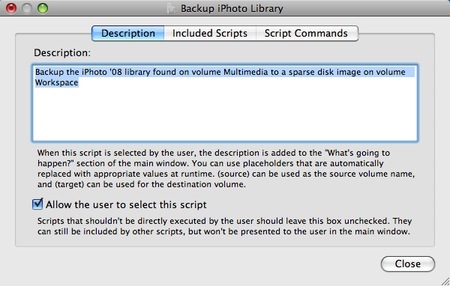 only backups those files and folders that you’ll explicitly specify and ignore all the rest. This is essential. 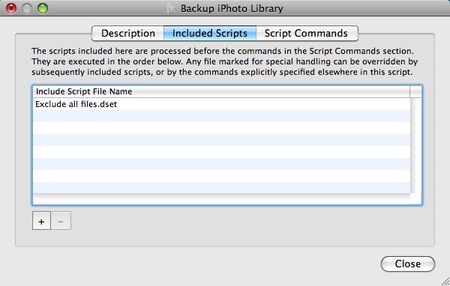 Then, in the ‘Script Commands’ tab, navigate to the folder where the iPhoto library is found and select it. Click on ‘Add Item’ and it will be added in the top part of the window. The default command is ‘ignore.’ Change that to ‘copy.’ As you can easily guess, this, combined with the ‘Exclude all files’ seen previously, will tell SuperDuper! to only consider the iPhoto library and nothing else which is what we want. 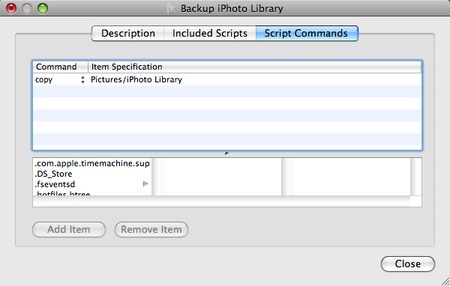 Then you can click on ‘Copy Now’ and, voilà, an incremental backup is done! Remember to use a registered version of SuperDuper! Intel-based MacBook Pro and iMac launched!! !